2018 is going to be a busy year! 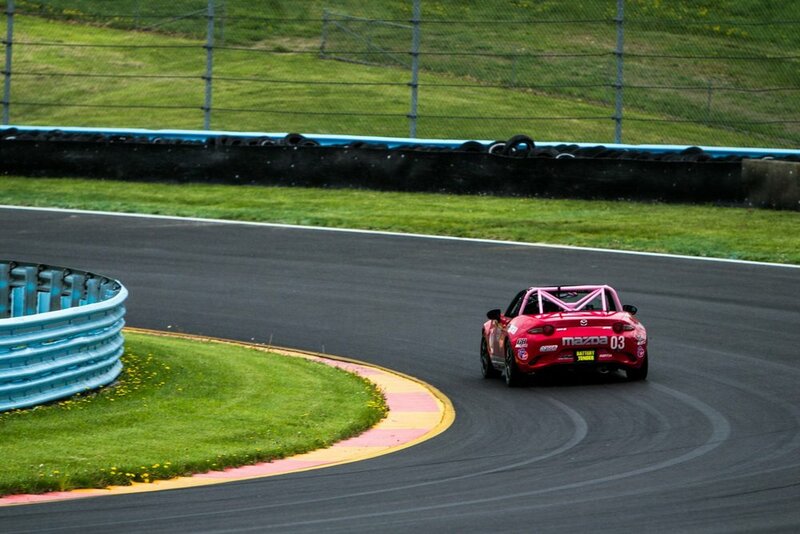 I’m excited to announce that I will be returning to the Battery Tender Global Mazda MX-5 Cup Series this season, driving the Harrison Contracting Mazda MX-5 prepared by Sick Sideways. That’s right, I’m going to race both MX-5 Cup and, once we secure sponsorship, IMSA Continental Tire SportsCar Challenge! Surprise! Sick Sideways is the team that Sarah Montgomery and I will be running with in the TCR class of the Continental Tire Series once we secure funding, so it made sense to do some additional racing with them in MX-5 Cup. For me, this is another opportunity to further my career and to continue developing myself as both a driver and brand ambassador. Sick Sideways has a strong history of success in MX-5 Cup, and I can’t wait to see what we can do together in both series. We’ll be testing the Harrison Contracting Mazda in February at Barber Motorsports Park, followed by Spring Training in early March. I’m really looking forward to the opening round of the 2018 Global Mazda MX-5 Cup season, but I’ve got a lot of work to do in the meantime. Sarah and I will be testing our TCR car this month down in Florida, and we are both so excited about getting behind the wheel of the Audi RS3 for the first time. My upcoming schedule also includes driver coaching. You can continue to find me at Atlanta Motorsports Park, where Racing Analytics has track day services. Here’s to a busy and exciting 2018! Happy New Year!